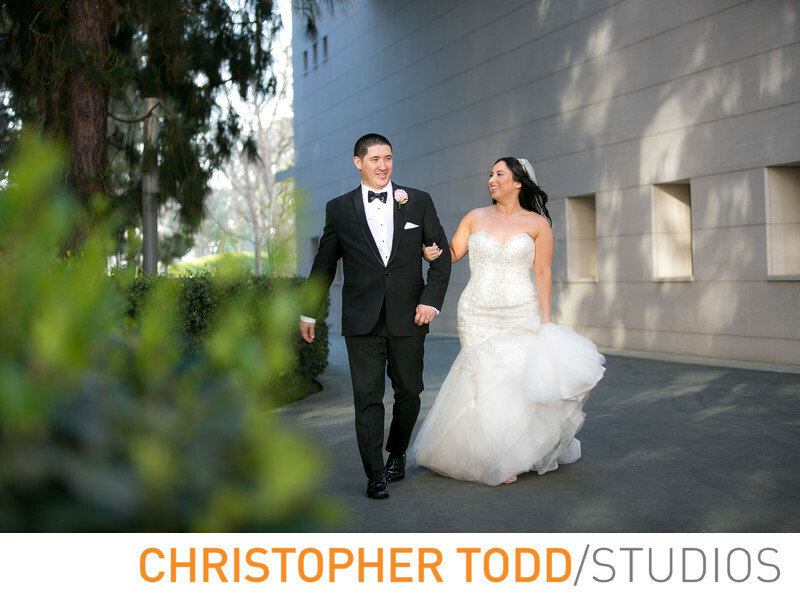 Photographing the bride and groom at Segerstrom Center for the arts is a perfect way to capture candid and classic photos. Here the bride and groom are walking arm and arm. This will make a beautiful portrait for the wedding album. 1/400; f/2.8; ISO 320; 70.0 mm.